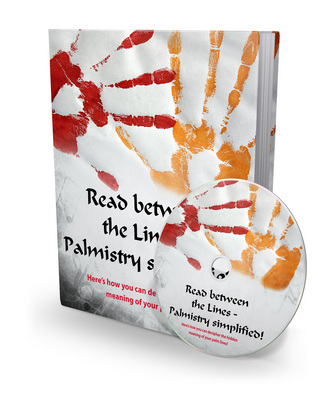 'Read between the lines - Palmistry simplified!' is an e-book that is compiled with acute sincerity. The e-book which is split into ten different chapters' covers all the chief areas of palmistry including mounts, hand dominance, quadrants, quadrangle, fingers, major lines, minor lines etc. The e-book is a comprehensive guide to understand the depth of this subject and then make use of it in one's actual life. Some believe that the science of palmistry is yet in its infancy. This field of study has however held man's interest since the Stone Age or a time even prior to that. It is pretty interesting that by deciphering the hidden meaning of these lines, you can tell the personality traits of others. Not just personality traits, you can even make future predictions just by way of analyzing the hidden meaning of palm lines. Isn't that amusing? So, if you too want to learn the engaging field of palmistry, grab your copy of 'Read between the lines - Palmistry simplified!' today itself!